Media Mikes is proud to be hosting advance screenings of the new upcoming release of EQUALIZER 2 starring Denzel Washington! There is an advance screening of the film on Monday, July 16th @ 7PM at AMC Boston Common. Click below to get tickets, first come first serve! Good luck and like always leave a comment here after you’ve seen the film! 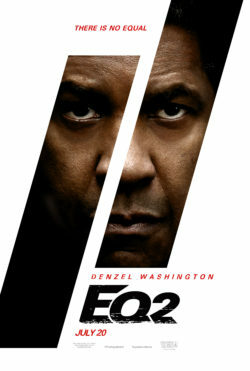 SYNOPSIS: Denzel Washington returns to one of his signature roles in the first sequel of his career. Robert McCall serves an unflinching justice for the exploited and oppressed – but how far will he go when that is someone he loves? I love Denzel Washington’s movies.